i post club nintendo code's. i only troll at Komic store's & at Komic Kon. I have a black DS with a red lid and a dark blue DSi. My 2 customised DS Lites and my 25th Anniversary DSi XL. (Sorry for the quick and dirty cut-and-past job). I have a black DSLite with a Professor Layton and the Lost Future skin on the lid, and a blue 3DS. Can't justify having loads and loads of the same console since I'm not a collector (and I would assume the only reason why anyone would buy so many is to keep them as collectors items). I have an Aqua Blue Nintendo 3DS. 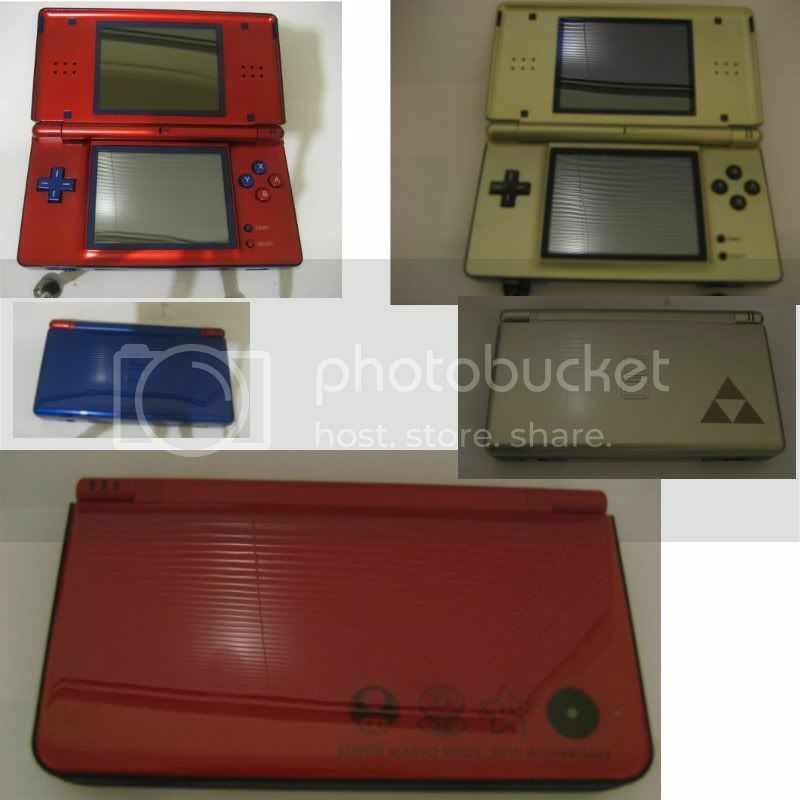 1 DS Lite Metallic Silver 1 DSi Light Blue 1 3DS Aqua Blue. I currently have a Legend of Zelda Edition DS Lite and a black DSi. Looking to get a DSi XL sometime in the near future, and did have an original DS before it broke. I got a black DS lite, and a red Mario 25th Anniversary DSi XL.